Are you wondering what the most important thing is for having a successful blog? It’s not the pretty package or theme, the colorful cute social media icons, or the catchy title. THE most important thing for a blog to be successful is to write amazing content. You might be thinking, well, duh. But stop and take a look at your content. 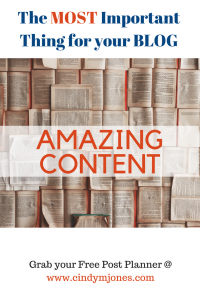 Is it really AMAZING content? I see so many bloggers who focus on what their blog looks like — a pretty logo, the perfect font, and colors, etc. — but their content is, well, it just doesn’t cut it. This was and is sometimes still ME! I love tinkering with my blog. I envy other beautiful sites. But I’ve learned that all that work in making a blog pretty doesn’t bring you traffic. Another thing that doesn’t really bring you a lot, (if any at all), traffic is social media. You may get a few curious people, but once they land on your page, if there’s nothing to keep them there, you’ve lost them for good. You would not believe how successful some really ugly, outdated looking sites are. They aren’t stressing over what their blog looks like, they are writing. They are spending their time producing content that’s helpful, educational, inspirational or entertaining. It’s not their design that’s driving their success for sure. Write great content to grow your blog or your audience. It’s easy to say but a lot harder to do. Businesses of all types and sizes depend on some type of content to gain clients or customers. Those that draw a crowd have learned how to provide content that’s pertinent to their clientele base. You can create a great brand but if you don’t have the content to back it up, you may be wasting your time. So, how do you get started with creating amazing content? What is at the center of good content? For the life of me, I have the hardest time just getting in one blog post per week. I used to do two per week before my content management business took off. Now, I simply don’t have the time. But there are many bloggers that post 3 times per day. Every day. Wow. Just wow. It blows my mind. The Google search engines do not like this. Search rankings for those types of posts are going to be very low. You are losing traffic and traction. Instead of creating many short posts per week, create 1 or 2 longer posts (1500 words is a great target). Pack these posts with useful details and information on a topic that helps to solve a problem for your reader. When you are creating your business plan, (need help with that? See HERE>), you need to include areas that you feel capable of sharing helpful advice or that you are able to properly research correct information to share with your readers. Make your posts easy to read by creating sub headings and white space. Add lists or bullet points and highlight important information. Don’t just plop a bunch of research on a page and expect your readers to consume it with joy. Tell a story. Give practical tips. Share a bit of you. Now I am an intensely private person. I hate sharing. I had a major surgery last week and didn’t even tell my mother. Your readers need to feel that they can trust you and your advice. If you are perfect, they will feel as though they can never live up to your standards. Share your difficulties. If you want readers to stick around, let them get to know you. Don’t create awkward moments by sharing details that are too personal. Avoid TMI situations, they don’t want to know THAT much. You do want to keep your experience as relevant to what your readers may encounter as possible, but don’t go chasing rabbit trails. Stick to your post topic as you give them a glimpse into your world. Too Much Information is as bad as Not Enough Information! Being transparent simply means not to put on a show, be yourself. We have a saying in the South, “She has diarrhea of the mouth.” I’m guessing you have a similar saying. You’ve been around someone that talks and talks and talks but never really says anything. They are trying to impress others by their many words and it seems as though if you jumped off a building they jumped off the Empire State Building. You know the type. If you had the flu, they had a rare disease. They are always trying to one-up you. Don’t be like that in your writing. Be sincere yet real. Don’t go into the deepest darkest details that every fiber of your being has suffered and create a sentence that explains your horrible, awful, terrible, very bad, unfair day. You want to create a post that is intelligent and to the point while maintaining a connection with your readers. Most readers are looking to solve a problem. When they type a couple of words into a search engine, they are looking for answers. You need to provide solutions to real problems. Once you decide what type of blog you want to have, you then look for problems within that area. I talk about blogging, marketing, and writing, this is my theme or blog type. There are blogs about parenting, marriage, decorating, farming, business, and finance. The successful blogs are offering solutions in these given areas. I blog about many of the problems I have or had in trying to become a successful writer and gaining traction with my blog as a professional. Another way to find problems that you can solve is to ask those close to you. Take note of what others come to you for advice. Create a survey and reach out to as many people as you can. HERE’S MY SURVEY. When I first started blogging some ten years ago, I was all over the place. I didn’t have a clue of what I was doing. Back in the days of infant blogging, most blogs were just online journals. Now blogs are extremely successful providing a means for many to make a living out of the comfort of their homes. But, you won’t make a living blogging if it’s only an online journal of your daily life. How does this blog post help my readers? What problem am I solving by writing this post? Will my readers walk away with applicable advice? Will they be inspired, entertained or educated? So, here’s your action plan. More words. Not just any words, more words that mean something, that offer a solution and give your readers the sense that if you can do it, so can they. I’ve made many mistakes through my ten years of blogging and one of them was not writing for an audience. Today I enjoy blogging and helping others, but I keep a hand written journal for my daily thoughts. Treating my blog as a means to connect with others, is my main goal. Making mistakes isn’t a waste of time, it’s valuable learning material. All my mistakes have given me countless material to post. I am helping others to not make the same mistakes I made! And that’s a great feeling! 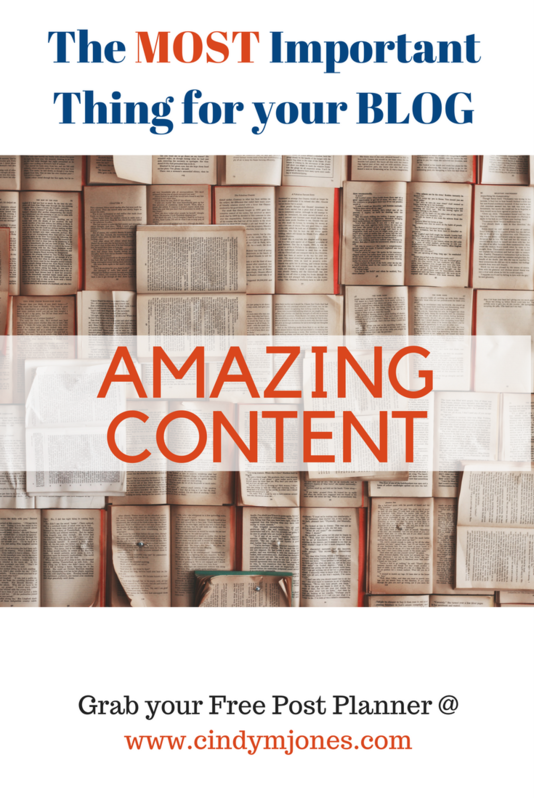 What do you think makes Amazing Content? I would love to hear from you. Still need help? Grab my free POST PLANNER HERE>. Want to know more? Sign up for my newsletter, WE CREATE TOGETHER — THE CONFIDENT WOMAN’S ALMANAC, and get access to my many free resources for writers and my Ultimate List of Lists for Writers. Get tips on marketing and growing your audience with my #storybranding services. 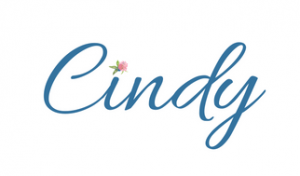 Originally published at Cindy M. Jones.